Directed by Jan McDonald, this excellent group performs all around the Santa Fe area. Yvonne and Norman began playing with the group in late 2002 with Yvonne playing percussion and Norm on third trombone. After the December performances, Yvonne dropped out. 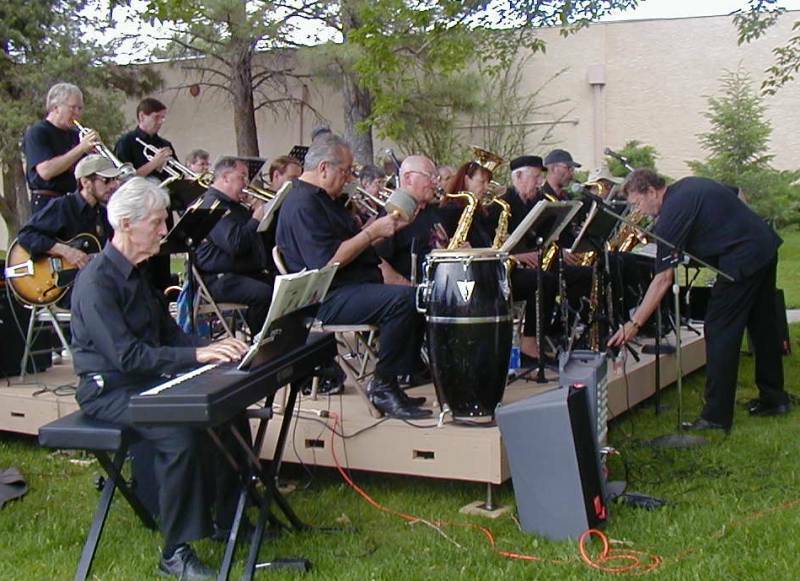 This photo was taken during the band's performance at Cochiti Lake on May 26, 2003. Norm is on third trombone at the near end of the second row.